Broadly speaking, there are two kinds of birding—at home and away from home. Yard birding and field birding. Like most birders I enjoy them both. Today’s column is about the backyard, where many of us spend the majority of our birdwatching hours and minutes. On busy days just a glance at the feeders is better than no birding at all! It’s personal, too. The yard is your space and those are your birds out there. Whatever you see is because you took the time to look, and making the identification is your call. It’s a great feeling to see something special right outside your kitchen window. For me, keeping a record of backyard sightings is a big part of the fun. If you are not maintaining a yard list too, I urge you to start. It can add to your enjoyment of the hobby and it will definitely sharpen your observation skills. My Glen Ellyn backyard is small and average. It is surrounded by other houses. And yet, after nearly 14 years in this location, my yard list is up to 110 species. The more you watch the more you see, and I spend a lot of time watching. 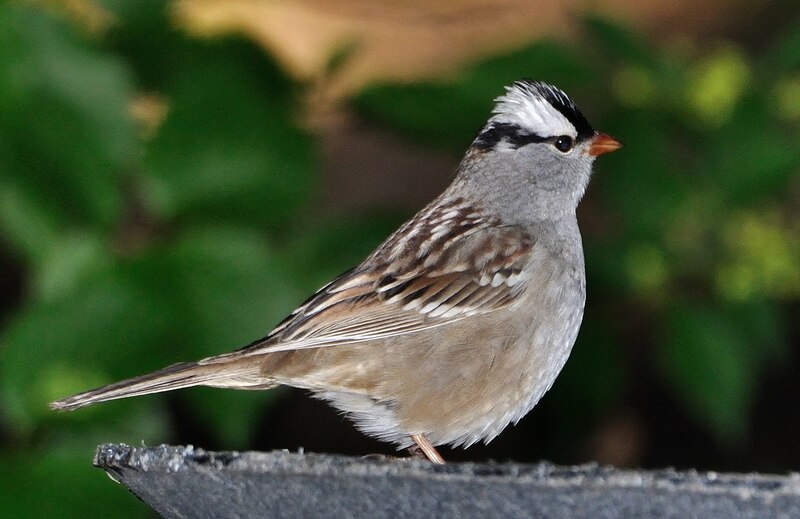 There are no official rules, but most birders define a “yard bird” as any species seen on or from one’s property. That opens up a lot of possibilities. In fact, over time, most yard birds will not be those that visit your feeders. The majority will be the birds you see flying over, or the birds you spot flitting around your trees and shrubs during the spring and fall migration seasons. 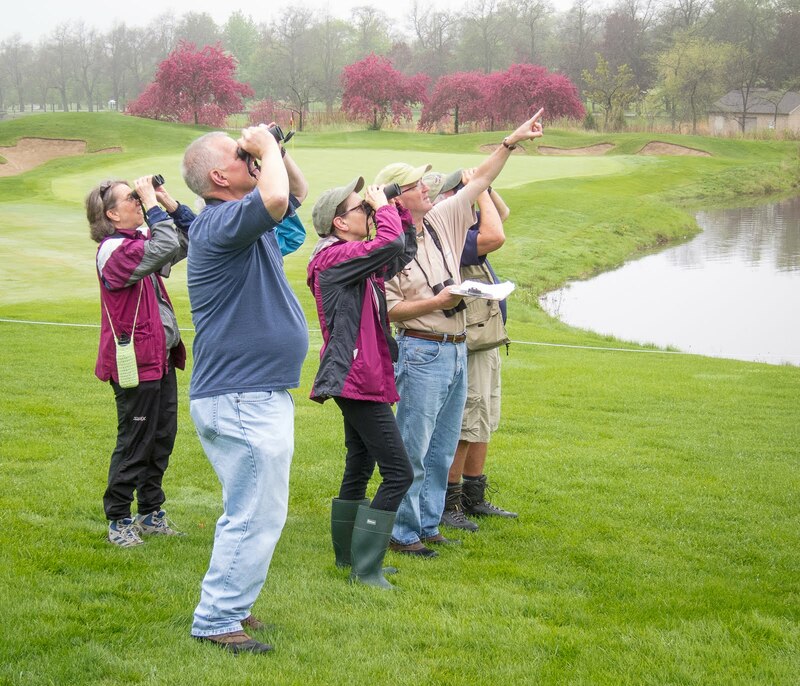 Birds in your neighbor’s yard count too, but watch where you point those binoculars! Feeders, birdbaths and bird-friendly plantings will increase species variety on your property. Offer them, by all means. However, my logbook shows that through the years only about 30 species have visited my yard because of something I did to attract them. Most sightings are random occurrences, resulting from steady observation and sometimes just dumb luck. Keeping a “year list” adds another fun dimension to yard birding, and I’ve been doing it every year since 2003. There’s the challenge of seeing how many species you can observe—my best so far is 88, in 2007—plus the data are useful for tracking seasonal patterns or changes from year to year. I know people who could pinpoint the latest date in April that they’ve ever seen a junco in their yard. Birders thrive on this type of information; it’s in our DNA. In recent years my interest has tended more toward adding new birds to the list—something that is getting harder and harder to do. In 2010 I added red-headed woodpecker and two kinds of warblers, blue-winged and golden-winged. All three sightings gave me a thrill that is hard to describe. I guess it’s partly about beating the odds. Seeing a golden-winged warbler anywhere around here takes a fair amount of luck. They are quite uncommon. So what are the chances of finding one in your own suburban backyard? Very slim, but freak sightings happen all the time. One I’ll never forget is the bright yellow prothonotary warbler that stopped by in April 2008. That bird—“a golden bird of wooded swamps” as Roger Tory Peterson famously described it—was way out of place. I was incredibly lucky to be outside at just the right moment. The same is true about the belted kingfisher that once rattled by, or the wood ducks that landed on my neighbor’s chimney. Once, and so far only once, a peregrine falcon wowed me with a high-altitude flyover. This spring I’m on the lookout for more first-time visitors and passersby. But I’ll also be enjoying the parade of interesting migrating species that make April and May the best time of year for birdwatching. This is an ideal time to begin your own yard list. You may be surprised by how quickly it grows.